Ephesus Kusadasi Cappadocia Istanbul. 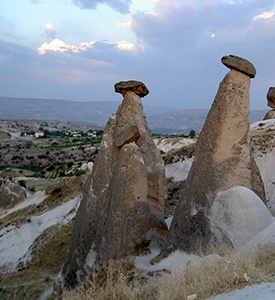 8 days full of experiences with full day tours in Cappadocia, Ephesus and Istanbul. 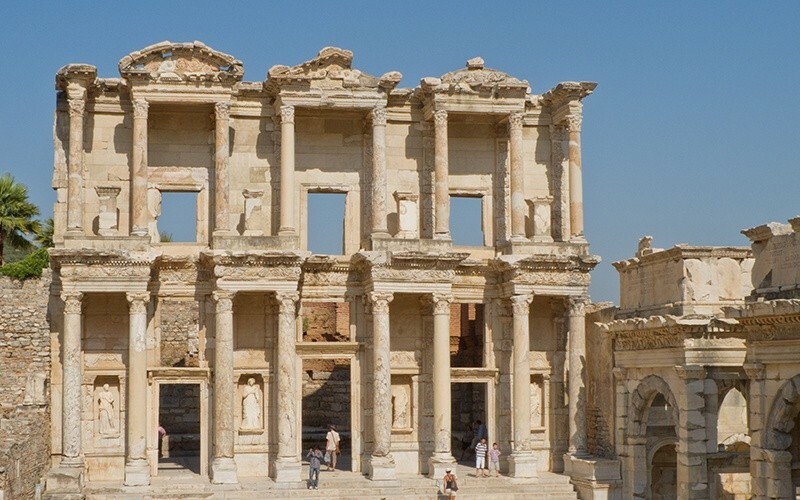 Admire the full area of Cappadocia with all the land formations and the ancient and Roman antiquities in the area of Ephesus. 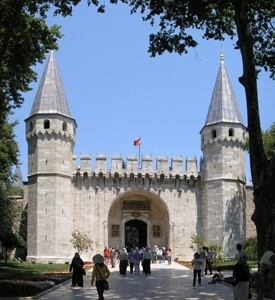 Enjoy a full day Istanbul tours and see all the Byzantine and Ottoman buildings and a half day Bosphorus cruise. After breakfast transfer to the airport to take a flight to Izmir. Arrive and transfer to the hotel. Dinner and overnight in Kusadası. 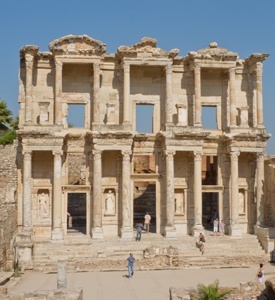 The tour starting with Isa Bey Mosque, then drive to an ancient Greek city, later a major Roman city, on the west coast of Asia Minor which called Ephesus, stroll past the Celsius library, the Temple Of Hadrian and the Trajan Fountain in the Ancient Ephesus. After walking on the historical marble street the Great Theater where St. Paul preached will meet at the end. Open buffet lunch in a local Turkish restaurant. In the afternoon will visit the carpet cooperative to see how the Turkish carpets are made by hand. Proceed to the shrine of Mother Mary, it is believed where she spent recent years of her life. Temple Of Artemis (Diana), on the side of one of the seven wonders of the Ancient World. Return to the hotel for dinner and overnight.